It doesn’t clatter and clang, you can wash the dishes without scratching the sink, and it doesn’t spread the germs from your dog’s leftovers. Finally… a sink that performs! For years, the stainless steel kitchen sink has been the standby, standard choice. It’s neutral, durable, and bordering on cliche in the kitchen. 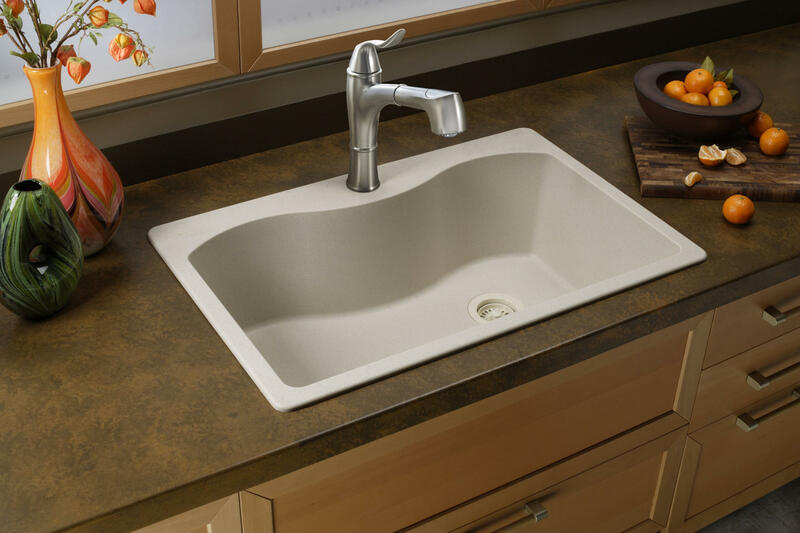 But before you go with stainless steel just because “that’s what everyone gets,” or if you’re seeking something a little different, it’s time to check out a fabulous alternative: the quartz kitchen sink. Quartz is a man made material, composed of natural quartz combined with acrylic resin. Why choose quartz for your kitchen sink? And if you needed any more reasons, it comes in awesome non-fading colors and finishes, too! Some of our favorite quartz kitchen sinks are the Quartz Luxe and Quartz Classic collections by Elkay. These veritable pieces of art are available in loads of sizes, shapes, configurations, and colors. The Classic collection proves that strength and beauty never go out of style. 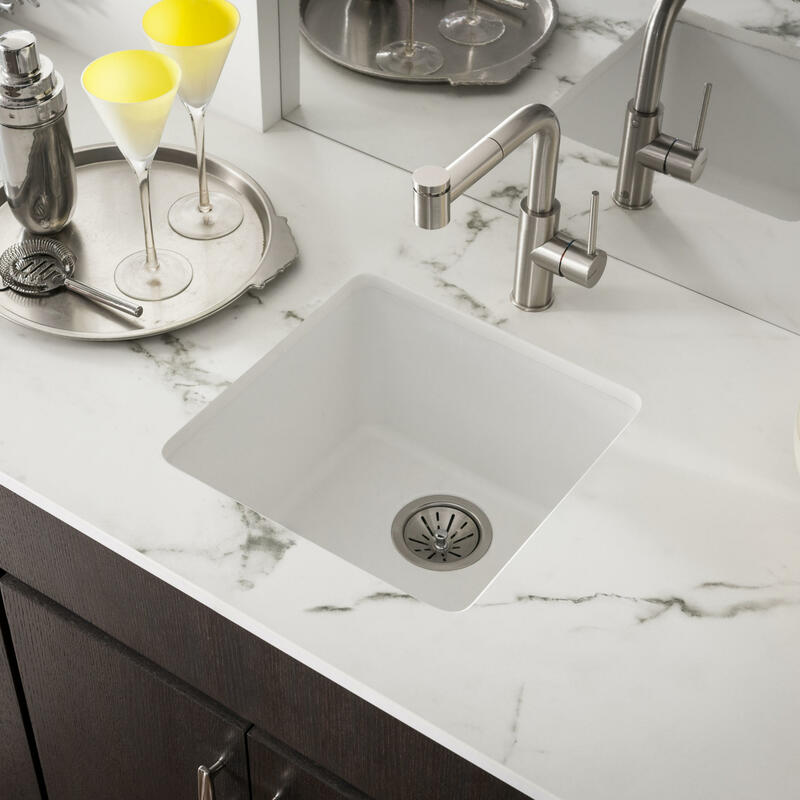 Quartz Classic sinks are sleekly gorgeous with all the benefits of quartz, plus the expertise, craftsmanship, and superior quality of every Elkay sink. (There’s a reason they’re “the professional’s choice!”) And “classic” is constantly updated – this line now includes five new colors (for a total of 10) and 10 new models (for a total of 26). And just to prove that they can outdo themselves, Elkay has released a new line of quartz sinks: the Quartz Luxe collection. This line features superior strength (thanks to added proprietary fibers for even more impact resistance), an extra-silky-smooth finish, and bold, rich, look-at-me color choices. You’ve never seen quartz like this before! These extraordinary kitchen and bar sinks are designed to withstand heavy use and look great while doing it. Aside from the versatile shape and size options – 26 models in all! – these sinks are available in an array of 16 colors, from the standard (black and white) to the neutral (charcoal and pecan and greige) to the bold (maraschino). The composition of the sink ensures that it will not fade or discolor over time – it will retain its beauty and vibrancy for years! And if you really needed another reason to run out and get one right now, here it is: these sinks are incredibly well-priced. 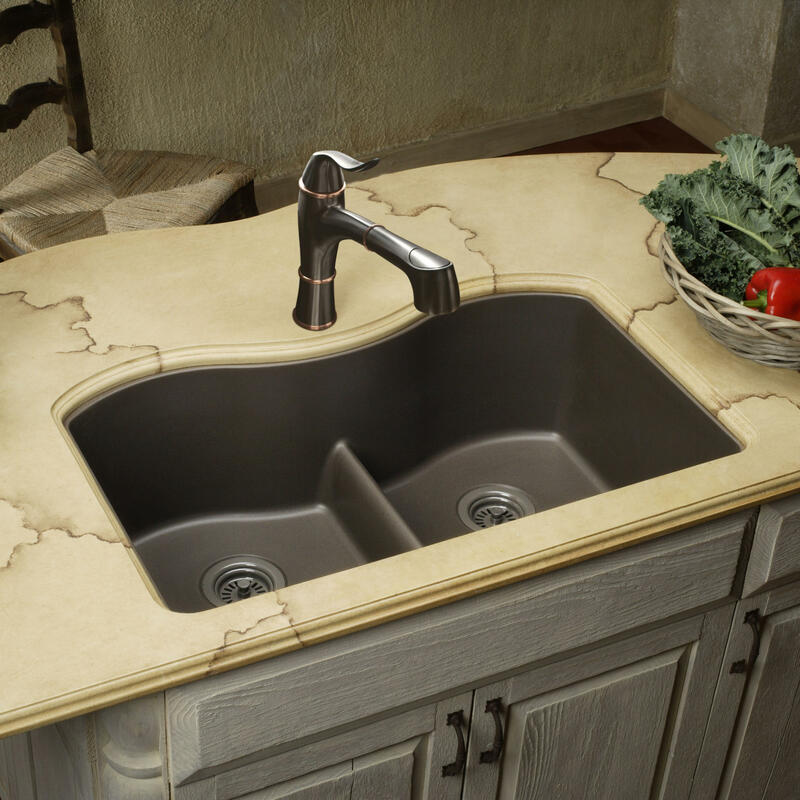 Because they’re not solid stone, quartz sinks are a reasonably budget-friendly choice. And especially now – for a limited time, get an Elkay quartz kitchen sink at 15% off! You’ll only find prices these great at Quality Bath. Come and get it before it’s too late!